High-tailing it to the big city to land a job fresh out of school is the cliché move for plenty of new graduates hoping to kick off their career. And sure, it stands to reason that you're likely to find a gig doing what you want in a place with tons of industry and young people. However, there's a chance the city you have your sights on may not be the one where the open positions are at the moment, according to a new map that reveals exactly which metro areas in every state are actually adding the most jobs. 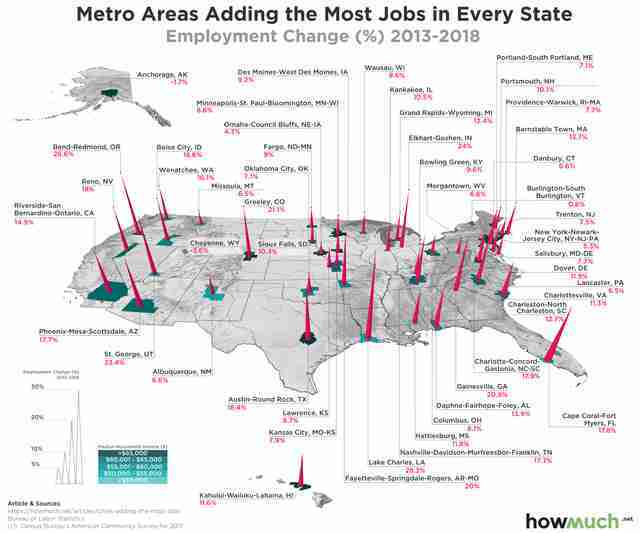 The new map and stats come courtesy of the site HowMuch, which dug into the data to determine the cities in every state where employment has increased the most between 2013 and 2018. Specifically, they took a look at the Bureau of Labor Statistics' job-growth numbers for the country's 381 metropolitan areas and figured out which ones ranked at the top for each of the 50 states. According to the findings, the one metro area that's seen most job growth in the entire country over the past five years is Lake Charles, Louisiana, which has seen an uptick of 28.3%, though it's worth noting that most new jobs there have been in the mining, logging, and construction industries. Here's the full lineup of city areas in each state where the most jobs are being added. Obviously, many of the cities on here aren't necessarily adding jobs in an industry you'd ever be interested in (nor are they places you'd want to live). 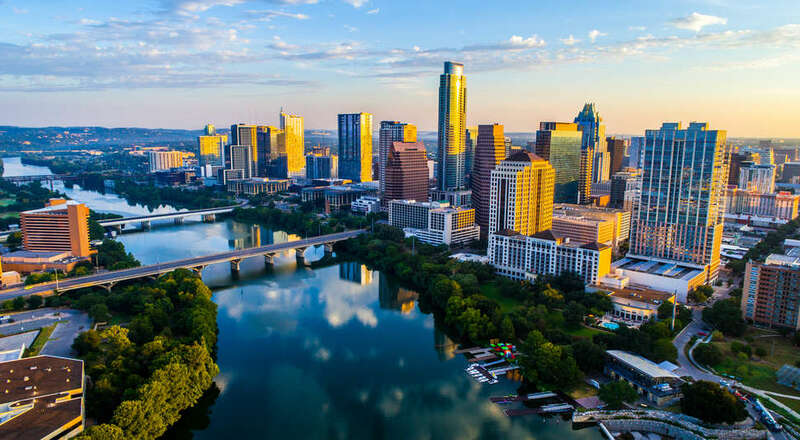 Though, as HowMuch points out, there are plenty that made the cut that boast diverse job prospects, are reasonably affordable, and are also objectively fun places to call home (looking at you Austin, Nashville, and Minneapolis). It's also worth mentioning that not all the growth in these places is huge (Burlington, Vermont for instance has only seen a growth of 0.8% in the last five years, and New York has only seen a bump of 5.3%). Still, just some enlightening stats worth considering if you're just starting out, or ready to make a move.